Your support can help the Girls Academy provide Aboriginal and Torres Strait Islander girls with the opportunity to achieve the best possible outcomes for their future. SPONSOR Talk to us about the many options to sponsor the Girls Academy through supporting events, equipment purchase, training and development, travel and more. We can tailor a sponsorship program just for you. PARTNER We foster collaborative and strategic partnerships that create lasting change, which benefits all stakeholders. Contact us to discuss. CHAMPION You can become a strong campaigner and advocate for the girls by telling others about us. Join and share our mailing list updates and social media pages and become part of the conversation. ONLINE SHOPPING Host the Girls Academy on your organisations online store to promote charitable donations to the partner customer base. 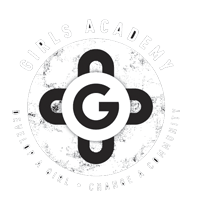 POINT OF SALE TRANSACTIONS Feature the Girls Academy as a donation recipient at your store and customers can elect to donate a small amount at the point of sale. Please contact Kye Gillies, General Manager of Corporate Partnerships and Fundraising, to discuss how you can support the Girls Academy.